Story teller and musician Adam Booth, also an adjunct faculty member at Shepherd University, is scheduled to discuss the creative process behind his new CD, “The Mountain Came Alive: Creating Contemporary Music and Stories Rooted in Traditional Appalachia,” at 7:30 pm on Tuesday, September 17, in Reynolds Hall as part of Shepherd’s Common Reading Program. Aimed at young people and their family communities, Booth’s latest tale is an interwoven tapestry of story and music that tells the last year in the life of an Appalachian mountain. The album draws upon traditional musical styles and folklore to create a contemporary Appalachian perspective of community and place. Topics include conceiving the story, structural design, creating the music and working with the community to record it, all based on observations made living and working in Appalachia. The presentation will include live performances of music and story from the album. 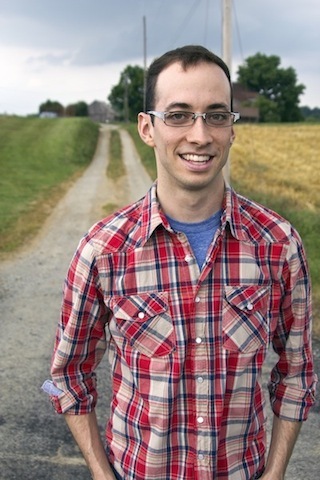 Booth is a multiple award-winning young Appalachian storyteller and musician. He is a four-time champion of the West Virginia Liars’ Contest and winner of storytelling competitions in three other states. His first storytelling album, “The Mingo Black,” received honors at the 2013 Storytelling World Awards and was juried into Tamarack, the Best of West Virginia. He is a recipient of the National Storytelling Network’s J.J. Reneaux Mentorship Grant to work with Dovie Thomason. He has appeared at festivals and venues around the country, including the National Storytelling Festival Exchange Place, The National Storytelling Conference and New Mexico’s Ghost Ranch. The event is free and open to the public. For more information, go to www.shepherd.edu/commonreading or call 304-876-5461.
wrote the guide in it or something. I believe that you just could do with some p.c. to power the message house a little bit, but instead of that, that is wonderful blog. viewers, its really really good piece of writing on building up new website. I cherished up to you will obtain carried out proper here. The caricature is attractive, your authored subject matter stylish. however, you command get bought an edginess over that you want be turning in the following. in poor health certainly come further previously once more as precisely the similar nearly very incessantly inside of case you defend this hike. learn more things approximately it! Thanks for your posting. I would also like to say that the very first thing you will need to accomplish is to see if you really need repairing credit. To do that you have got to get your hands on a duplicate of your credit history. That should really not be difficult, because the government necessitates that you are allowed to have one cost-free copy of the credit report each year. You just have to consult the right men and women. You can either look into the website for your Federal Trade Commission or perhaps contact one of the major credit agencies right away. Ahaa, its pleasant discussion concerning this article at this place at this website, I have read all that, so now me also commenting here. may I want to recommend you few attention-grabbing issues or tips. Wow, this paragraph is pleasant, my sister is analyzing these things, so I am going to inform her. I may I want to recommend you few interesting things or suggestions. Thank you for this article. I might also like to state that it can become hard when you find yourself in school and merely starting out to establish a long credit rating. There are many learners who are just simply trying to make it through and have long or favourable credit history is often a difficult point to have. Thanks for your blog post. A few things i would like to add is that personal computer memory is required to be purchased if your computer can’t cope with everything you do along with it. One can deploy two RAM boards having 1GB each, for example, but not certainly one of 1GB and one having 2GB. One should check the car maker’s documentation for own PC to make certain what type of memory space is needed. https://ketodietlistdfk.com/ why am i not losing weight on my keto diet? I blog frequently and I truly appreciate your information. Your article has truly peaked my interest. I am going to book mark your site and keep checking for new information about once per week. I subscribed to your Feed as well.